A Virginia community is mourning the death of a former Navy SEAL. Brian Hoke, 42, of Leesburg, Virginia, died in Afghanistan, his father confirmed. No details were released about the cause of Hoke's death. Hoke was a 1996 graduate of the United States Naval Academy. He went on to become a Navy SEAL. He left the military in 2002 and had worked for the U.S. State Department, with many overseas deployments. Hoke's funeral was held Sunday at the Naval Academy. He is survived by his wife and three children. 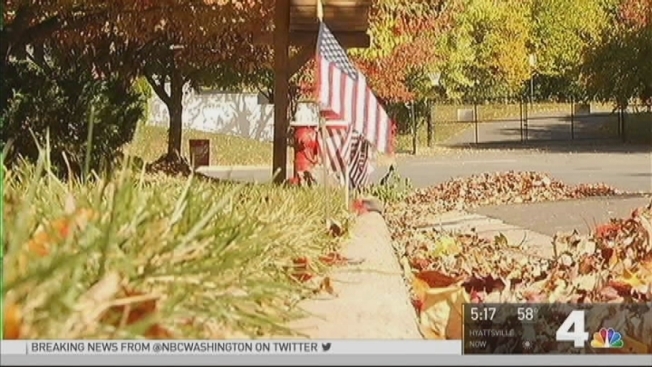 American flags lined the streets of Hoke's neighborhood on Monday in his memory.